Many products are advertised with statements like “dust resistant” or “waterproof”. With electrical products, dust and water can cause huge problems, resulting in higher costs and lost time. The International Electrotechnical Commission created a code that signifies the degree of protection offered by enclosures for electrical products. This code is known as the IP Rating or the Ingress Protection rating. The IP rating may be listed on a number of products, from outdoor lighting to cellphones. The code is simple, made up of the letters “IP” and followed by two numerals. The first digit indicates the level of protection provided to the user against hazardous parts like moving components or electrical conductors. It also specifies the susceptibility to dust and other solid objects. The range of the first number is zero to six, zero meaning no protection for the user against contact with electrical parts while six signals complete protection against dust and bodily contact. The following chart shows the amount of safety provided at each level. 3 – ≥ 2.5 mm diameter object Protection against tools, thick wires, etc. 4 – ≥ 1.0 mm diameter object Protection against most wires, screws, etc. 5 – Dust Proof Ingress of dust is not entirely prevented, but it must not enter in sufficient quantity to interfere with the satisfactory operation of the equipment; complete protection against contact. Keep in mind that “0” and “X” are often used interchangeably to denote no protection or that this item has not been evaluated for these criteria. Dust tight enclosures are particularly necessary in areas that are considered hazardous locations. A hazardous location is an area where flammable gases, combustible dusts like coal, metal, or grain, or easily ignitable fibers are present. In places like paint-spraying booths, gas stations, and textile processing areas, a single spark could cause a fire or explosion to occur. The IP ratings of 5 and above ensure that the enclosure will safeguard equipment and reduce the risk of an incident. Dust-proof enclosures, with a rating of 5, are insulated against most but not all dust particles, enabling them to work efficiently. Dust-tight enclosures, with a rating of 6, shield against all dust. The second digit of an IP rating indicates the level of protection provided against the invasion of water. The amount of exposure to water is a range from zero to eight, meaning from no water at all to dripping water to immersion in water beyond one meter. 1 - Dripping water Dripping water (vertically falling drops) shall have no harmful effect. 2 - Dripping water when tilted up to 15° Vertically dripping water shall have no harmful effect when the enclosure is tilted at an angle up to 15° from its normal position. 3 - Spraying water Water falling as a spray at angles up to 60° from the vertical shall have no harmful effect. 4 - Splashing water Water splashing against the enclosure from any direction shall have no harmful effect. 5 - Water jets Water projected by a nozzle against enclosure from any direction shall have no harmful effects. 6 - Powerful water Water projected in powerful jets against the enclosure shall have no harmful effects. 7 - Immersion up to 1 m Ingress of water in harmful quantity shall not be possible when the enclosure is immersed in water under defined conditions of pressure and time (up to 1 m of submersion and a 1 hour immersion period). 8 - Immersion beyond 1 m The equipment is suitable for continuous immersion in water under conditions which shall be specified by the manufacturer. NOTE: Normally, this will mean that the equipment is hermetically sealed. However, with certain types of equipment, it can mean that water can enter but only in such a manner that produces no harmful effects. Applications for water tight enclosures could include dairy or any food preparation factories, clean rooms for information technology services, or medical facilities. These enclosures and the dust-proof or dust-tight ones have compactly gasketed sealings to securely prevent water or dust from entering the space. You may come across vapor tight enclosures with high ratings like IP-65, 66, and 67. These enclosures can house fluorescent or LED lamps, safeguarding the lighting from dust and water. While it may seem like IP ratings are only useful in industrial settings, this attribute is helpful in classifying landscape lighting, security cameras, and other outdoor equipment as well. Do you have a great “don’t touch that light switch” story or a question about how much water is too much water for your fixture? Write it in the comments below. You will find more lighting terms in our glossary or check out our Facebook, Twitter, Google Plus, LinkedIn, or Pinterest as we explore lighting fundamentals. 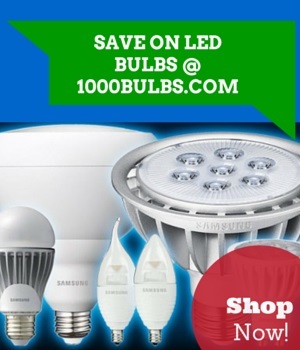 As always, our perceptive staff at 1000Bulbs.com is also up the challenge of answering your everyday lighting questions.